Ed Lukowich (a Trillionist) is a Canadian author/theorist and developer of TRILLION THEORY. There are 7 books in the TT cosmology series. This TT theory provides a new way to view and understand our universe. The basis of the new theories depicts our universe as being a trillion years old, much older than the 13.7 billion years believed by Big Bang theory. Within T Theory, black holes are shown to have built our cosmos from its small origins a trillion years ago, to its immense size today. Furthermore, T Theory places a black hole at the core of our planet Earth and inside the core of the trillions of spheres in cosmos. While this last comment may seem absurd, this discovery is a huge step at understanding the reason for spin and for gravity in all of the spheres in the solar systems in all galaxies. Ed, the sole Trillion Theory author, began to formulate this new theory as far back as 1998. Ed's 7 cosmology books in the Trillion Theory series were published from 2013 to 2018. Click on the Research Fund heading to see how you can help Trillion Theory to become the new paradigm. 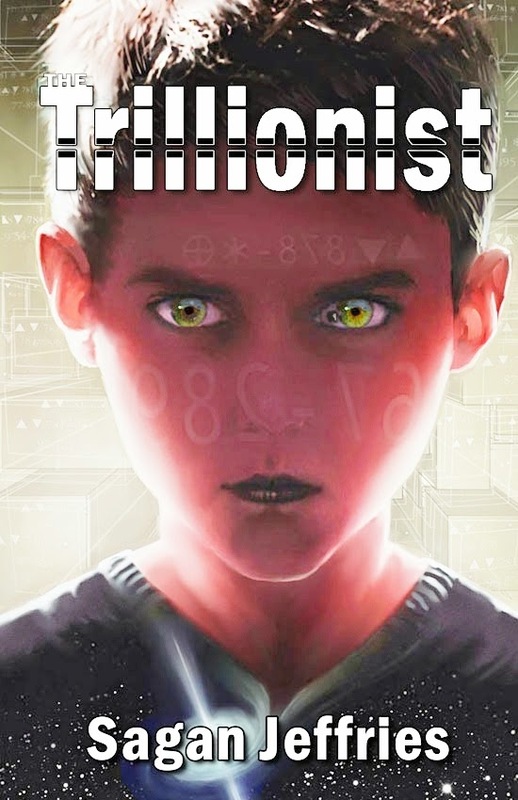 Sagan Jeffries - is the author of the new sci-fi futuristic 2013 novel entitled 'The Trillionist.' The name Sagan Jeffries is the sci-fi pen name of former curler Ed Lukowich of Calgary, Alberta, Canada. 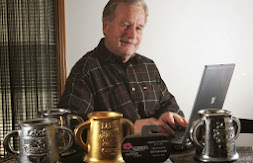 (Ed Lukowich had published four curling books in the 1980 to 1990 era). The pen name Sagan Jeffries separates the sci-fi futuristic author from the Curler - Ed Lukowich of Calgary, Alberta. 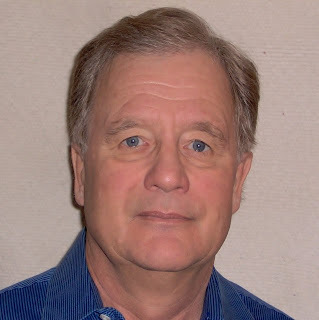 During his curling career, Ed Lukowich published four books about curling (The Curling Book 1980, Curling to Win 1986, The Joy of Curling 1990, Power Curling 1991), several manuals, and a how-to video on curling. As well, for seven years, Lukowich was color commentator for curling on Sportsnet television in Canada, working beside play-by-play man Rob Faulds of Toronto. Lukowich was also co-founder of the TSN Curling Skins Game which began back in 1986 and co-founder of the World Curling Tour in 1990. As a player, Lukowich won two Briers and then a World Chapionship in 1986 and competed in the 1988 Winter Olympics. 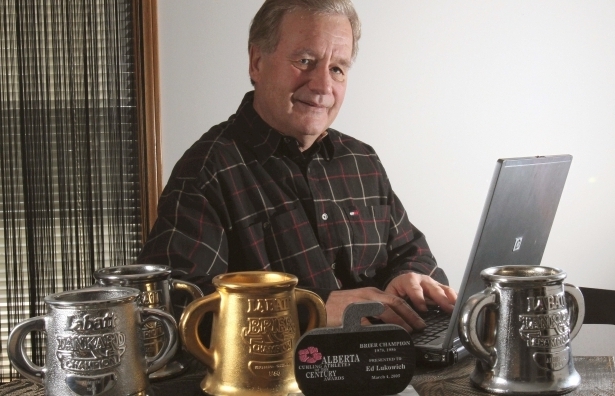 Former world curling champ Ed Lukowich is about to publish his first science-fiction novel. 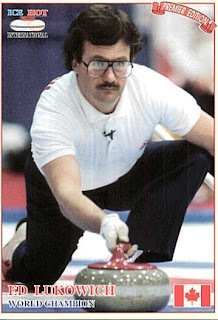 Former world curling champ Ed Lukowich was considered in his prime to be one of the finest curlers and strategists to ever play the game; indeed, some say even now he’d be an asset to a men’s team as a skip (if not a last-rock thrower). But while he’s still throwing rocks once a week at the Inglewood club, his focus now is on publishing his first book that has nothing to do with the sport that made him famous (he published three curling-instruction books and a coffee-table book on curling in the 1980s). And it’s only fitting that the man who could always see a game of curling from a slightly different angle than everyone else is working in the genre that focuses most on imagination. Reading and watching it is one thing; writing, though, is entirely another, and the process of getting a book to the stage where it’s now in the final editing process before going to the publisher early next year began 14 years ago, when Lukowich was working as a curling instructor. That opportunity came about in 2009 when Lukowich resigned his USA Curling position; he pulled the manuscript off the shelf and started writing, revising and writing some more. Which is where he’s at now; his work is done (he wants to keep the title and plot under wraps until the book is officially introduced next year), and he can get back to curling once a week, and watching the game he loves so much, and that included taking a keen interest in this weekend’s Grand Slam BDO Canadian Open in Kingston, Ont., where the five-rock free-guard-zone rule was unveiled. Predictably, Lukowich has a few ideas of his own on how to improve the game at the highest level. Lukowich laughingly concedes that there’s no correlation between curling and science fiction, although it’s possible there may be a reference to the sport in the finished product. The name Sagan Jeffries is the pen name used by Ed Lukowich for his sci-fi writings. This name, Sagan Jeffries separates the sci-fi author from the Curler - Ed Lukowich of Calgary, Alberta. New futuristic novel by Sagan Jeffries (pen name for Ed Lukowich) 'The Trillionist' promises to change your view of our universe. A miraculous young man (Sage Rojan) on Planet Tidon is possessed with incredible abilities. If only he knew where they came from? Without knowing the reasons, he fast-paces the technology of his civilization into the space age. But, somehow he has miscalculated and endangered the survival of his solar system. It is up to him to overcome his villainous nature and save his world from devastating catastrophic consequences. To solve his dilemma, he must uncover incredible new findings about our universe such as: How our universe was created and how black holes have catalyzed our universe to grow to its present incredible size of 74 quadrillion stars within millions to billions of galaxies. When reading the novel, you can deploy the 17 QR codes with your cell phone app and discover more. Testimonial: "The Trillionist is an auspicious debut from a powerful new voice. Sage Rojan is a character you'll never forget." -- Robert J. Sawyer, Hugo Award-winning author of Red Planet Blues.